Connecting Creative Communities is a project which will investigate the relationship between promoter, artist and community. 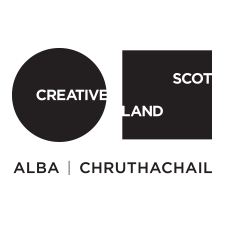 3 promoter groups to take part in the project over a 2 year period, in which time we will seek to explore new ways for artists, promoters and communities to work together to make shows which resonate with and are relevant to Highland communities. Promoters will investigate lifestyle, cultural behaviour, opportunities and challenges, expectations and barriers. Communities will explore what makes them tick; what they like, what they don’t like, how and if they want to be involved, what excites or disappoints them, and to discover some things that maybe they don’t even know themselves yet. Artists will explore relevance and impact, and then connect with communities to explore places and stories; sharing prototypes of their work as they make it. The Touring Network has received funding from The Paul Hamlyn Foundation for this project, and will facilitate it by providing the expertise required to help artists and promoters build better relationships with their audiences, and by guiding the process over the 2 years. There will be a tour of the new work made during this process, which will be part of The Touring Network’s Supported Programme, followed by a promoter and artist led symposium at the Gathering in 2019 to discuss the project – what worked and what didn’t, and what we have learned. 3 promoter groups who are interested in taking part in this project, to work with the 3 artist groups who are also participating.